At St Thomas Aquinas School, we believe that effective speaking skills are fundamental to successful learning. In each class, the teachers allocate talk partners to allow for plenty of paired discussion work. 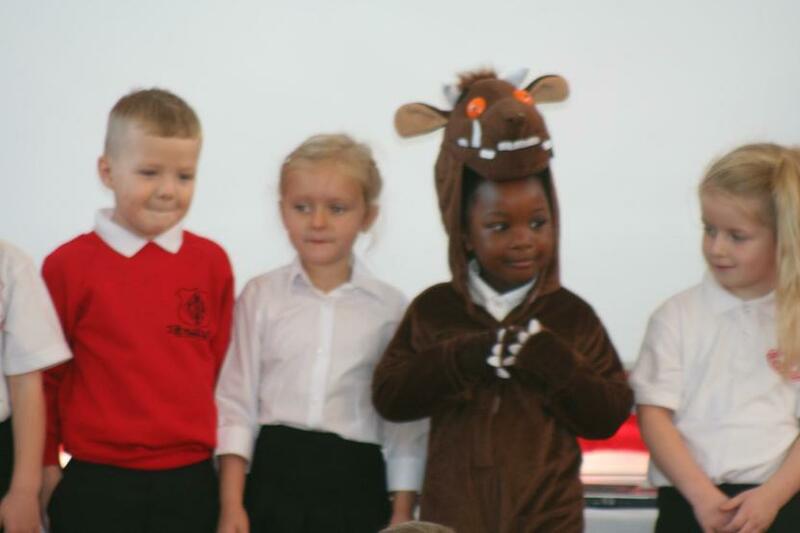 Talk partners are changed on a regular basis to enable children to work with many different people. 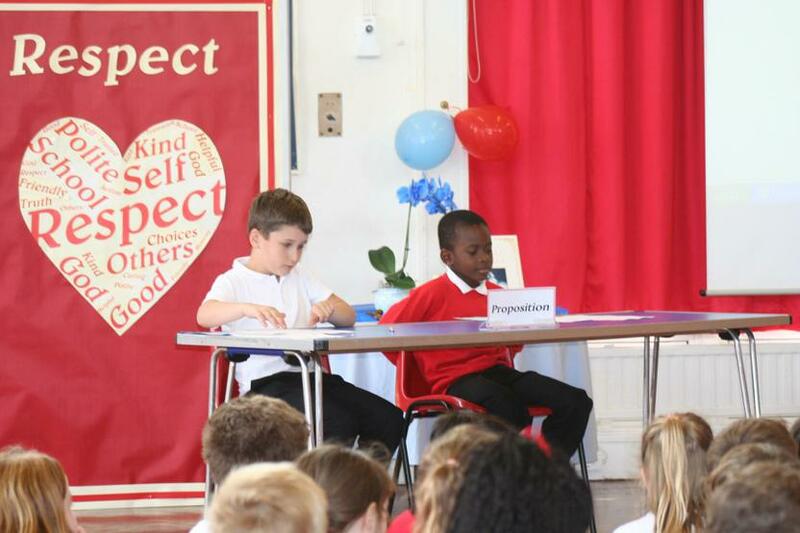 Whole school events such as our annual ‘No Pens Day’ give the Reception and Key Stage 1 children a chance to perform their speaking skills to the school and the Key Stage 2 children an opportunity to practise their debating skills. Equally important as good speaking skills are good listening skills and we use the above opportunities to reinforce this. 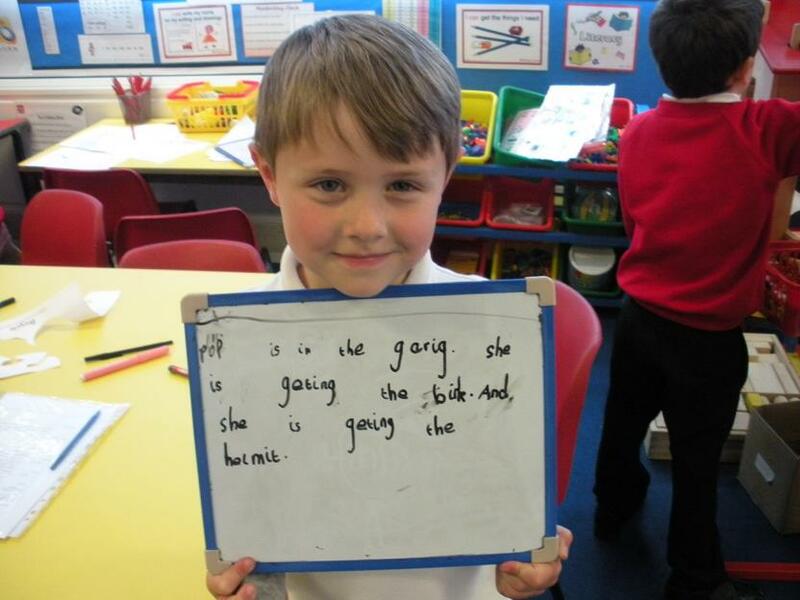 Phonics is taught through ‘Sounds-Write’ from Reception through to Year 2. In lower Key Stage 2, it is used to support individuals and groups. Spellings are set for home learning on a regular basis from Year 1 through to Year 6. These are taken from the Shakespeare and More website which ties in with the requirements of the National Curriculum 2014. 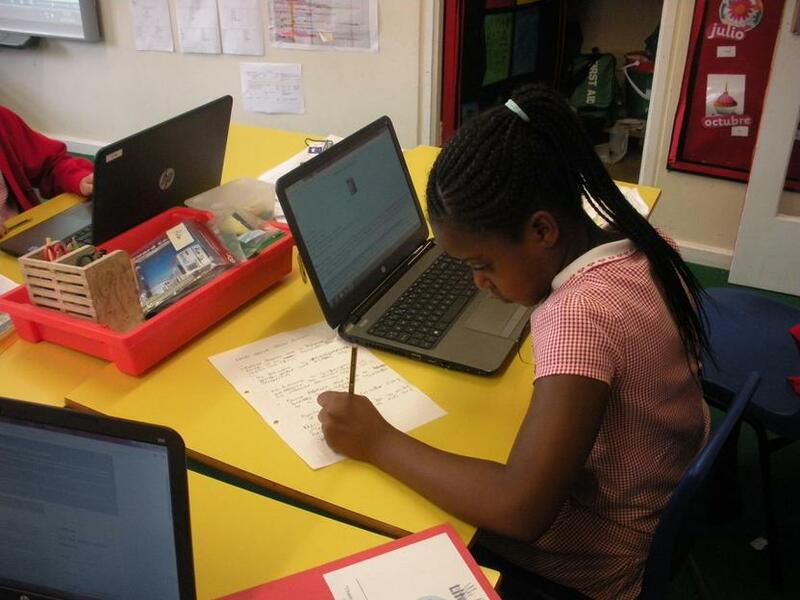 Ideas for how spellings can be practised are in the ‘Homework Help’ section of our website. We aim for each child to gain enjoyment from their reading in school and at home. Within lessons, children are exposed to a rich variety of text types to offer them breadth and depth across the curriculum. In addition to our various reading schemes, our well stocked library offers children a chance to take home a book of their choice on a weekly basis. Our ‘Book Exchange’ scheme offers children a further opportunity to choose book they can read for pleasure. 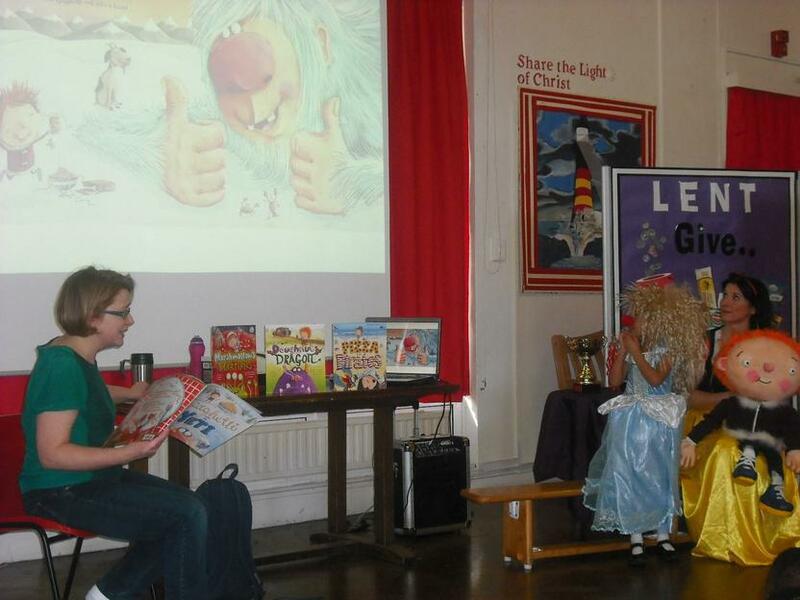 Our annual ‘World Book Day’ celebration often includes a visit from an author to further enthuse the children to read. We place great importance on guided reading and this is timetabled to take place in Years 1 to 6 from 12 to 12.20pm every day. This session enables teachers to focus on comprehension skills and teach children specific strategies to tackle questions which call for inference and deduction, as well as basic recall. 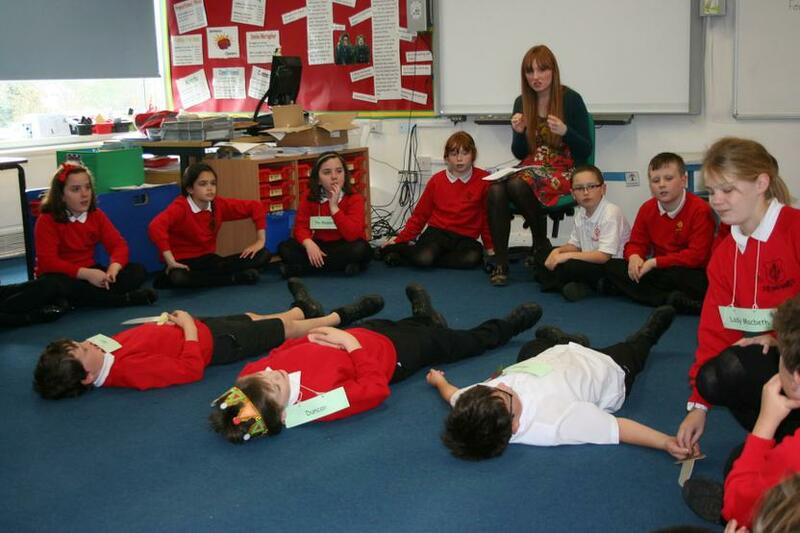 In our school, the teachers take great care to ensure that the year group topics are exciting for the children. All planning is cross curricular as much as possible and children can experience writing for a variety of purposes and audiences, such as a letter to ‘The Bad-tempered ladybird’ in Reception, Roman comic strips in Year 3 and Macbeth diaries in Year 6. Often, children are asked to produce writing which ties in with their geography or history topic, which offers them an opportunity to show that they have mastered certain writing skills. Each week, the children are taught at least one function in the area of grammar and punctuation. They are then expected to use this in their extended writing later in the week. Many text types are explored in class to demonstrate how grammar and punctuation are used. An important website that we have signed up to called ‘Pobble’ allows teachers to demonstrate writing from children in other schools and use this as a teaching tool. In addition, good quality writing produced by our children gets published on the ‘Pobble’ website so that other people, including their own family, can comment on it.